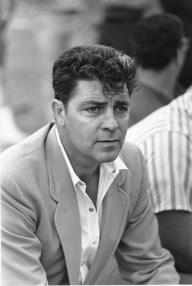 Feb. 27 – Dale Robertson, 89 – an Oklahoma native who became a television and movie star of Westerns during the genre’s heyday, died at Scripps Memorial Hospital in La Jolla, CA following a brief illness. Richard Street, 70 – former Motown vocalist, member of The Temptations for 25 years, died at a Las Vegas hospital after a short illness. Feb. 25 – Former U.S. Surgeon General C. Everett Koop, 96 died peacefully at his home in Hanover, NH. Koop served as surgeon general from 1982-1989 under Presidents Ronald Regan and George H.W. Bush. Dan Toler, 64, Former Allman Brothers guitarist died from Lou Gehrig’s disease (amyotrophic lateral sclerosis). He played with the Allman Brothers Band from the late 1970s through the 1980s. His disease had kept him from speaking or playing guitar in recent months. He lost his brother David “Frankie” Toler, who was also a musician (drummer) in 2011 from a prolonged illness following a liver transplant. He was 59 at the time. Feb. 19 – Damon Harris, 62 – former Temptations member, died from prostate cancer. Damon Harris took the place of Eddie Kendricks, one of the original lead singers of the Temptations group. He was only 20 at the time. Lou Myers, 76 – played Mr. Vernon Gaines on the NBC sitcom “A Different World” died at Charleston Medical Center in West Virginia after undergoing a heart-related emergency and falling into a coma. Feb. 18 – Jerry Buss, 80 – Owner of the Los Angeles Lakers died at Cedars-Sinai Medical Center in Los Angeles. He had been hospitalized for cancer, but the immediate cause of death was kidney failure. Feb. 17 – Michael Gage, 75 – The former publisher of the Green Bay Press-Gazette and president of the Green Bay Packers Hall of Fame board died of heart problems according to his wife, Patty Gage. His grandfather, Andrew Turnbull was one of three men who started the Green Bay Press-Gazette in 1915 and was its first publisher. Gage’s uncle, Daniel Beisel was its second publisher and Gage was its third. Gage was the largest private shareholder of Packers stock. Mindy McCready, 37 – who had an affair with ex-Yankee Roger Clemens, kills her dog and then commits suicide. The news comes a month after McCready’s boyfriend, music producer David Wilson, died under mysterious circumstances at the couple’s home in Heber Springs, a town west of Memphis and north of Little Rock. Feb. 16 – Ken Clark, 46 – American football player (Indianapolis Colts, Nebraska Cornhusers), from a heart attack. He was one of the top all-time rushers at Nebraska who went on to play for the Colts. Lanier Greig, 64 (death reported on 2/16/13) – early ZZ Top member, an immensely talented keyboardist, bassist, composer and arranger died in his sleep at his home in Austin; he was 64. 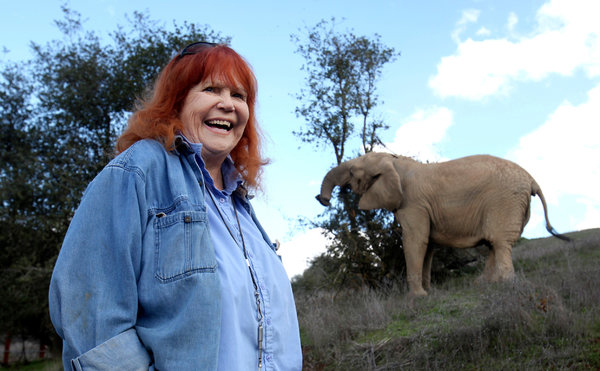 Feb. 15 – Pat Derby, 70 – British-born American animal trainer for TV series during the 60s and 70s and later became a crusader for animal rights. She and her partner Stewart founded the Performing Animal Welfare Society (PAWS) in 1984. She died in her home following a long battle with throat cancer. Feb. 14 – Reeva Steenkamp, 29 – South African model, law school graduate, motivational speaker, was shot to death in the early morning hours of Valentine’s day, preparing a surprise for her boyfriend Oscar Pistorius. He’s been charged with her murder. 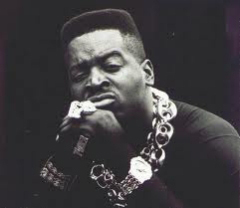 Tim Dog – 46, American rapper, died from a seizure following a long bout with diabetes. Feb. 11: Mark Balelo, 40 – An A&E Storage Wars guest was found dead inside his car which was parked and running in the garage at his auction house in Simi Valley CA. His death was ruled as a suicide and came two days after he had been arrested for a drug-related offense. Rick Huxley, 72 – Bass player and founding member of the Dave Clark Five. Feb. 8: Chris Brinker, 42 – was a film producer and director, known for his work in the action film The Boondock Saints (1999), co-producer on Lonely Streets (2008) and on The Boondock Saints II: All Saints Day (2009). He died suddenly while he was working with his friend on the film Baby Proof. He made his directorial debut working with Matt Dillon, Kevin Chapman and Willem Dafoe in the feature film Whiskey Bay, which is slated for a 2013 release. Feb. 5: Stuart Freeborn, 98 – LucasFilm confirmed today that the British pioneering movie makeup artist behind creatures such as Yoda and Chewbacca from the Star Wars films has died, “leaving a legacy of unforgettable contributions.” Mr. Freeborn also worked with Stanley Kubrick on 2001: A Space Odyssey. Feb. 4: Donald Byrd, 80 – Jazz musician, leading hard-bop trumpeter of the 50s who collaborated on dozens of albums with top artists of his time. Essie Mae Washington-Williams, 87 – the biracial daughter of longtime Senator Strom Thurmond, the child he refused to publicly acknowledge his entire life. Her mother worked as a maid for the senator’s family in Edgefield County during the 1920s. She was just 16 at the time. Feb. 2: Chris Kyle – former Navy SEAL and author of “American Sniper: The Autobiography of the Most Lethal Sniper in U.S. Military History” was killed at the Rough Creek Lodge in Texas. He was shot point-blank while helping another soldier who is recovering from PTSD. The person doing the shooting was captured in Lancaster, south of Dallas.